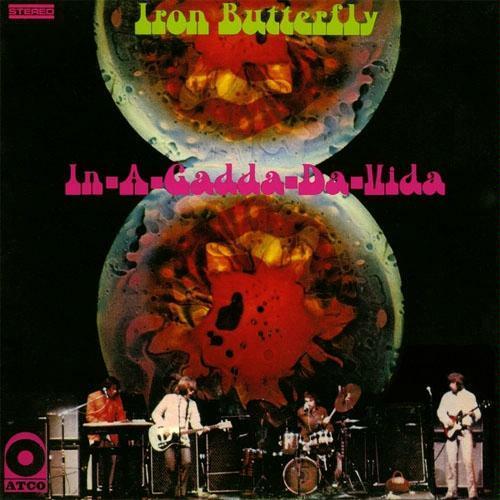 Iron Butterfly’s “In A Gadda Da Vida”: 17mins of pure psychedelia or the whole side B of the 1968 album with the same title. Things get interesting after the 6th minute. The recording that is heard on the album was meant to be a soundcheck for engineer Don Casale while the band waited for the arrival of producer Jim Hilton. However, Casale had rolled a recording tape, and when the rehearsal was completed it was agreed that the performance was of sufficient quality that another take was not needed. Hilton later remixed the recording at Gold Star Studios in Los Angeles. The single reached number 30 on the U.S. Billboard Hot 100.